ScotsUSA.com is produced by Magnus Orr. 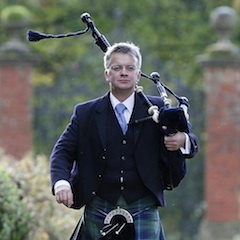 A keen piper since the age of 10, Magnus has helped produced some of the largest massed pipe bands events including: Millennium Piping Festival, the New York Tartan Day Parade in 2002, Pipefest 2005 and Pipefest 2010. In 2014 he produced the New York Tattoo – having coordinated a successful Kickstarter campaign to launch the event. Braw Media Ltd is registered in Scotland, company number SC491340, registered office is 6 Logie Mill, Edinburgh, EH7 4HG.